In 2010, Equity Bank called in MicroSave to help with their digital transformation. Today more than 97 percent of Equity Bank’s transactions in Kenya are conducted outside their branch network, and more than 70 percent are self-initiated by their clients on mobile phones. Can you imagine what that does to their cost structures? The International Finance Corporation (IFC) calculates that it reduces the annual cost to serve a customer by 80 percent – one reason why the business case for digital transformation is compelling. McKinsey estimates that digital transformation of financial institutions could add 45 percent to their annual net revenues: 15 percent from enhanced product uptake, and 30 percent from reduced operational costs. 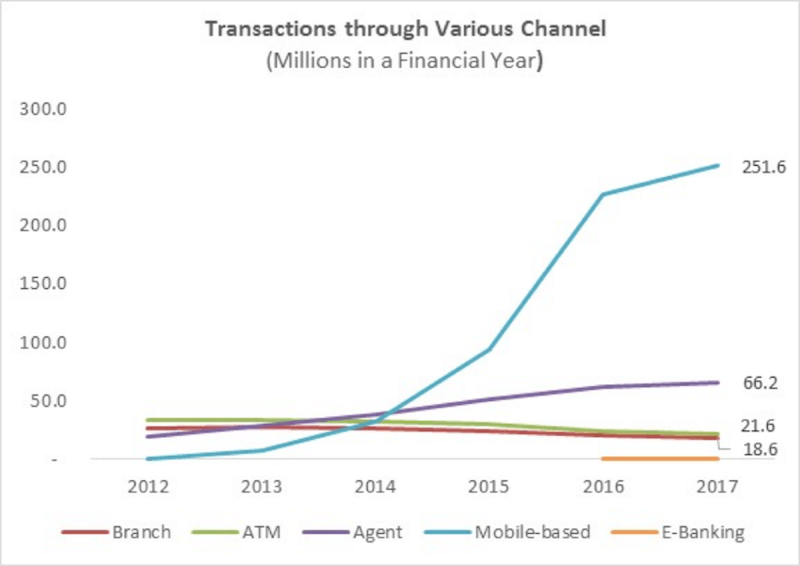 Equity Bank in Kenya has demonstrated how full digital transformation can radically change a bank, and as user-initiated transactions climb further, we can expect its operational costs to reduce still further. But it was not easy or cheap to do this. MicroSave worked alongside the bank from 2010 to help develop the strategy, refine the products, build the agent network management system, think through marketing and communication and coordinate the change management process. Eight years later, the bank is completely transformed. It is truly a digital bank now – efficient, customer-responsive and flexible enough to respond to individual customers’ needs. Two years ago in Luxembourg at the European Microfinance Week conference debate, I cited newspaper articles saying 400,000 people were negatively listed (i.e. identified as credit risks) in Kenya. MicroSave worked with one of the country’s Credit Reference Bureaus to analyse the problem. In March 2017, we found that there were 2.7 million people negatively listed for unpaid digital credit loans, of which 1 million had defaulted on loans of less than $10. By May 2018, 3.6 million people – 13 percent of the adult population of Kenya – were negatively listed. So, the digital credit revolution sweeping Africa is clearly reducing credit discipline. But it is also increasingly serving small businesses, and offering the flexibility that clients crave and are unable to get from traditional MFIs and banks. About a third of digital credit loans in Kenya are now used for business purposes, according to the recent CGAP telephonic survey. Furthermore, a growing number of digital credit providers are reducing the interest rates on loans to high-performing customers with a good track record. In addition to this, there are a growing number of specialised digital lenders focused on using MSMEs’ data, other proxy indicators captured from the mobile phone and psychometric assessments to make loans. These digital credit loans are easy to access, quickly processed and easy to repay using mobile money. As one digital credit borrower said to me, “Why would I go back to my MFI when I can get a loan at any time in 5 minutes? And I can pay using my phone from my business whenever I want, instead of attending endless long group meetings.” We safely assume that many MFI customers are thinking the same way – or looking at peers who have made the move to digital credit providers. There is a clear and present threat of a yawning digital divide – and with it the demise of many MFIs unwilling, or unable, to make the transformation to operate in the digital world. 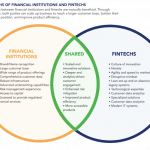 Fintechs are building their customer base in urban and peri-urban areas with the connectivity, the smartphones and the ability to buy data packages. They are serving the high-value customers. Thus, MFIs will be left trying to serve rural communities with poor connectivity, no smartphones and not enough money for data packages – the low-value customers. 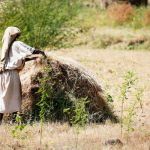 This could spell the demise of financial services for the rural poor, because the business case is so difficult – particularly compared to the diverse, low-cost opportunities to serve the higher-value, connected urban market. In short, this could end years of progress towards financial and social inclusion. Graham A.N. Wright is the founder and Group Managing Director of MicroSave. Photo courtesy of John O’Bryan/USAID.